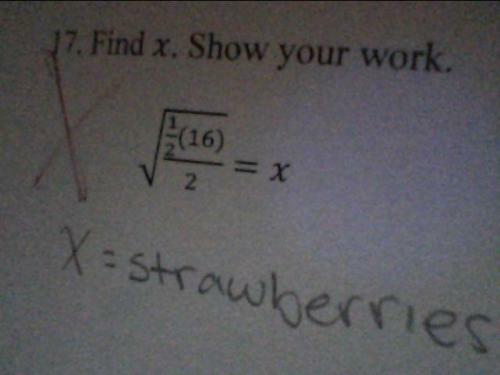 I would have gone with x = banana. Wow, that one is so easy, that’s asking for a summary course failure there. It’s so easy I can do it with my eyes closed. First, let’s ignore the radical for a bit. It becomes (1/2)(16)/2. 8/2. 4. 4^(1/2). 2. x=2.